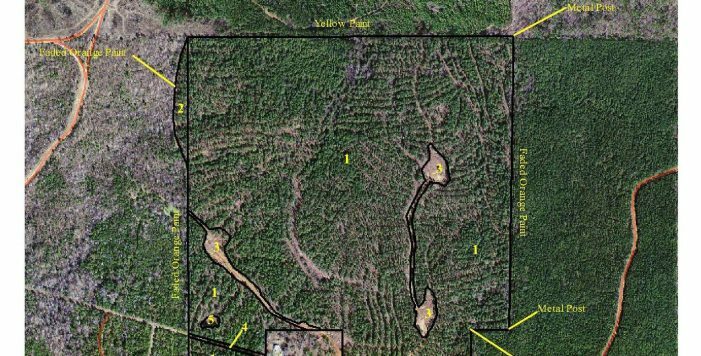 This tract features the perfect combination of excellent financial returns from timber management coupled with great hunting. 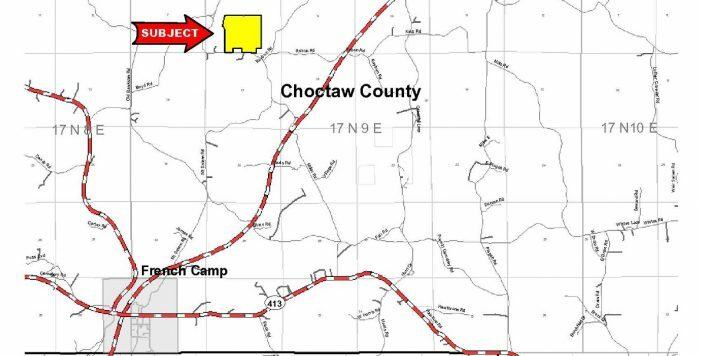 The tract is located approximately three miles northeast of French Camp, Mississippi in Choctaw County. 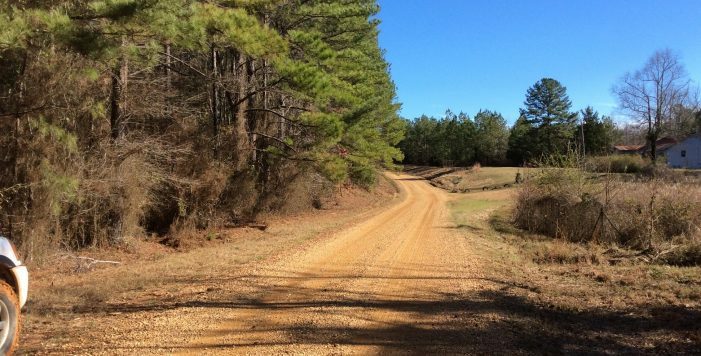 Miller Road, which is a gravel road, fronts the property along its south boundary for approximately one-third mile. There is one un-gated access point where the tract borders Miller Road. 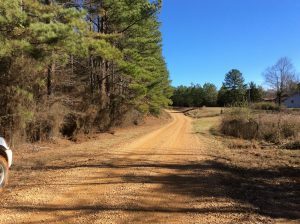 From there a system of well-maintained woods roads provides access to all areas of the tract’s interior. 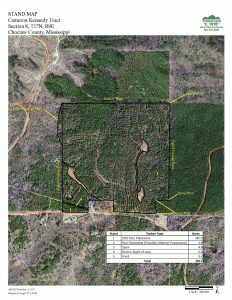 The 147.3 forested acres consist almost entirely of a 27-year-old pine plantation. Besides a small hardwood drain, this timber type is consistent across the entire tract. 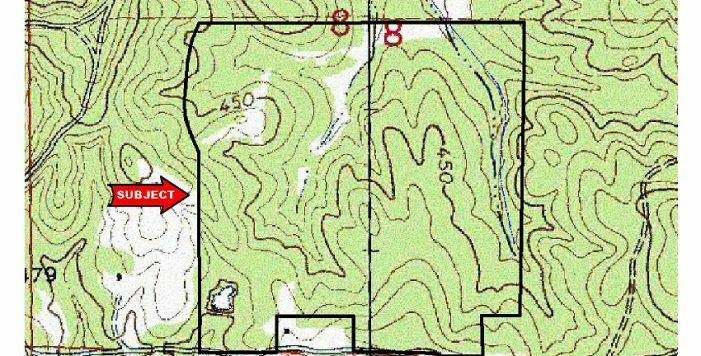 Solid boundary line evidence, such as boundary paint and corner posts, was found on all boundaries except for the south boundary. The non-forested areas on the property consist of open areas, an electric line, and a small pond. 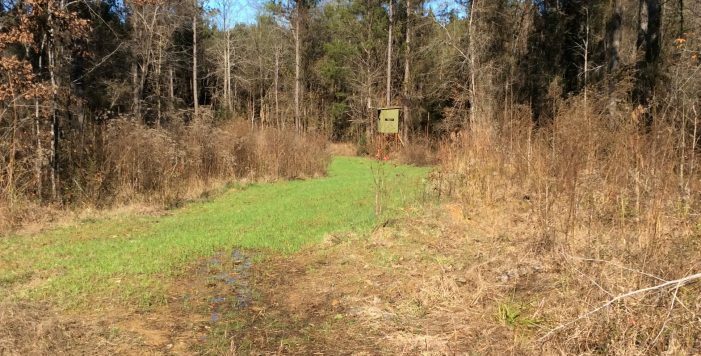 Many of these areas have been converted to food plots for wildlife. The majority of the property consists of rolling hills with small drains in between. 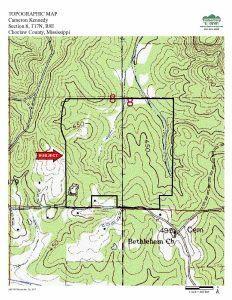 There is an elevation change of 40 feet across the tract, with the highest point being 450 feet above sea level and the lowest point being 410 feet above sea level. 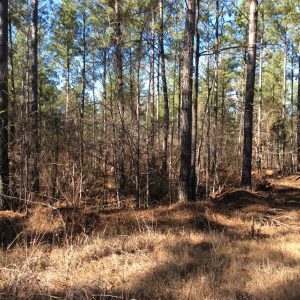 The pine plantation is 27 years old, and it was last thinned in 2014. The product mix is 64 percent sawtimber, 28 percent chip-n-saw, and seven percent pulpwood. The overall average diameter is 11.7 inches and the average pine sawtimber diameter is 14.4 inches. Current stocking levels are somewhat low with a basal area of 70 sq. ft. per acre. 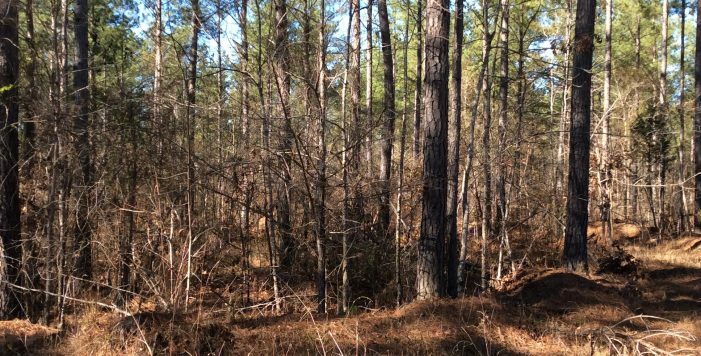 Based on the age of the plantation, tree sizes, and the fact the trees are free to grow due to recent thinning, this stand is poised to significantly increase in value over the next five to eight years. 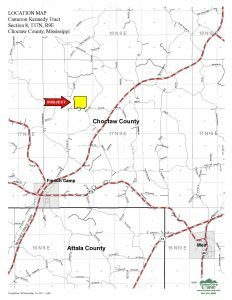 The tract is located in an area know for excellent populations of wild turkey and white-tailed deer. 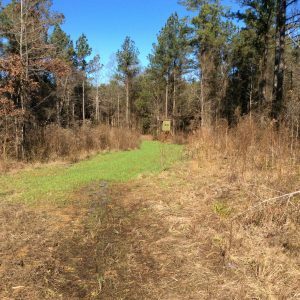 The tract has numerous food plots and openings for wildlife and the thinned pine plantation provides excellent habitat.